Created over fifty years ago, Weidemann are a German manufacturer of the high quality, compact Hoftrac®, loaders and telehandlers to the agricultural, equine and forestry industries. 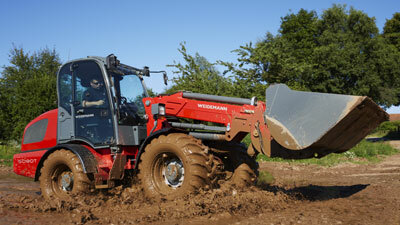 For decades, the focus of Weidemann is to lighten the load of commercial agriculture by the mechanisation of operations. This led to the design and development of the Hoftrac®, which became a generic term for its own equipment category – the original comes from Weidemann. Developers at the manufacturer work closely with end users, leading to innovative concepts and sophisticated products with high usability and mature technology to create a reliable range of loaders designed for work. The machines come from one of the most modern wheeled and telehandler production facilities, made piece by piece at the state-of-the-art plant in Korbach. They work closely with suppliers, and purchased parts supplied to production are continuously monitored, tested and optimised, ensuring equipment that will work right time and time again. 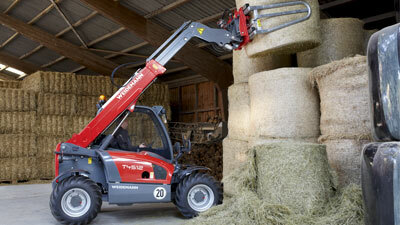 The compact Weidemann telehandlers are unique in the combination of lift height, width and machine capacity. With the all-wheel drive, you are absolutely stable and well equipped for many tasks. Selected models feature three-point linkages, crab steer and the award winning driver assist system VLS (Vertical Lift System). Carrs Billington Agriculture introduced the Weidemann range to the group portfolio of franchises in 2017. Immediately the telehandlers and loaders have been a hit with customers. To view and test-drive the Weidemann range, visit at any one of our machinery depots at Carlisle, Annan, Penrith, Morpeth, Hexham or Barnard Castle.